To conclude this short series of blogs, which discuss an Original Viro Blocca Catena and an imitation made in the Far East, we are talking about a third experiment carried out on both the padlocks, to test their strength. It was seen in the last blog, which described the chain cutting test, that the original Blocca Catena passed the test well, withstanding attempts to cut with a hacksaw, whereas its copy was cut very easily. Would this also have been the case with the respective padlocks? Let’s see how the two products reacted to the impact test. Again within our testing laboratory, we have inserted the products, using the same type of chain link, in a tool which reproduces the blows delivered from a height of 1 m, from the top downwards, with a weight of 3.05 kg as if it were being attacked with a sturdy hammer in an attempt to break the joint between the lock-bolt of the padlock and the chain. We can see that the Blocca Catena, subjected to 5 blows, remains totally intact and fully functional, showing only a slight dent. The head of the rod, which is also designed for programmed breakage, remains attached. What does programmed breakage mean? 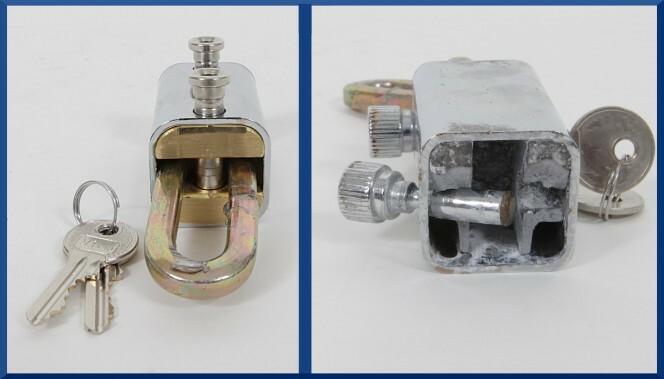 If an attempt was made to rip the rod from the body of the padlock, it would break at a specific predetermined point, leaving the padlock closed and the remaining part of the rod inside the body, which cannot, therefore, be gripped. However, in the case of the imitation product, the lock-bolt is driven outwards after the 5 blows, allowing the escape of the chain link. This effect is due to the fact that the padlock body, which is made of zamak, has shattered. The photos clearly illustrate the results. 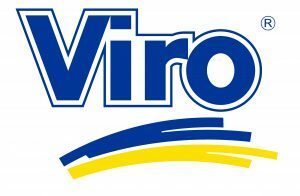 The original Viro product withstood the blows, whilst its imitation substantially shattered, making it completely unusable. In conclusion, we can say with certainty that, based on the results of all tests, the original Viro Made in Italy product surpasses the imitations in terms of every security aspect: corrosion resistance, chain strength and protection provided by the padlock. Imitations deceive unsuspecting users into saving money, but actually expose them to the greater risk of losing the entire value of the items to be protected. This entry was posted in Padlocks and tagged products, technology, tips on 5 December 2016 by calessandrini.